From acupuncture to yoga, Harborne Complementary Health Clinic (Hc2) provides a wide range of therapies, classes and workshops to maintain and improve your physical and mental well being and promote your personal development. 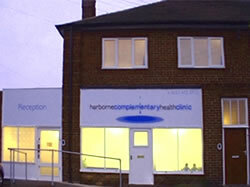 Harborne Complementary Health Clinic (HC2) opened in December 2005 in premises converted specifically for use as a complementary health clinic. Simply but cleanly finished to the highest standards, it offers a peaceful, welcoming environment, professional and calming with plenty of natural light. The clinic is centrally heated throughout. On the ground floor there is a yoga studio/training room and a consulting room with disabled access and a toilet with disabled access. There are three first floor consulting rooms. Evening and weekend consultations and classes are available by appointment only. The clinic is owned and run by Julia Richardson (née Fearon) BSc (Hons) Complementary Therapy, (sole proprietor). An aromatherapist, baby yoga and baby massage instructor she also trains aromatherapists and baby masage instructors. Her aim is to provide clients with access to a variety of complementary therapies, workshops and courses. Provided by a range of practitioners, a wide choice of therapies are available from highly qualified therapists. As a qualified children’s nurse with 25 years experience in the NHS, Julia is committed to the principle that complementary practitioners and conventional healthcare professionals should work closely together to provide the best possible service for clients. Julia’s aim is for the clinic to have a child and family focus. The majority of therapists working from the clinic have experience and/or an interest in working specifically with children, families and with pregnant women and their partners. Julia hopes to encourage families to see the potential of integrating therapies into family life to maintain health and support them in times of illness or crisis. The team of therapists are independent practitioners who hire space within the clinic and carry their own professional indemnity insurance. Julia co-ordinates the team and is able to offer clients advice on which therapy and practitioner may best suit their needs. Whether you are looking for symptom improvement, personal development, stress reduction or simply relaxation, we invite you to experience the unique atmosphere of the Harborne Complementary Health Clinic.